You may be afraid that it’s too late to save your relationship. You may think it’s hopeless. You may think it’s past saving. You may feel that you’ve tried everything to save your relationship and nothing that you’ve done is working. You’re fighting for your relationship. You want it to work but you know what you’re doing isn’t working. Your heart feels broken. It’s like you’re in a bad dream waiting to wake up. Perhaps, you’re hoping, beyond hope, that there really is a way to save your relationship and that you can learn what to say and do that will actually save it. I have been a Licensed Marriage and Family Therapist for over 30 years. I specialize in saving romantic relationships that are in crisis. It’s my experience that most love relationships that end, do so unnecessarily. They end for the wrong reasons. In most cases, if even one partner in a relationship had gotten the right kind of knowledge and had brought that knowledge back into the relationship, that one partner could actually have stopped the breakup. It’s my mission to teach you what it takes to save your relationship. Over the years I’ve developed strategies to help my clients save their relationships. Those same strategies that work for my clients can also work for you. IF YOUR RELATIONSHIP ISN’T WORKING WHY BOTHER COMING TO COUNSELING TO TRY TO SAVE IT? You may already feel that your relationship isn’t working for you. What you don’t know is if, with my help you can both save it and make it work for both of you. IS IT TOO LATE TO SAVE YOUR RELATIONSHIP? If your partner is still willing to communicate with you, even if it’s only by phone or e-mail, it’s possible that, with the right tools, you can save your relationship. I know I can help you as long as you take the next step. It’s FREE to find out if I can help you save your relationship and make it work. 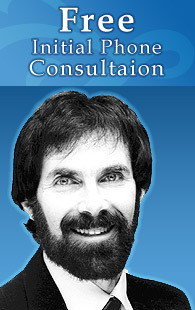 Call me NOW for your FREE initial phone consultation. P.S. Will coming to me for counseling actually help you to save your relationship and make it work? That’s my goal. I have helped countless people save their relationships using the exact same strategies and tools that you’ll get when you work with me I get calls from people years later thanking me for those strategies and telling me how many happy years it’s been since I helped them get past their near breakup. Many of those people, when they first called to get my help were convinced that their relationship was beyond saving and that they were probably wasting their time even to try. You know that what you’ve been doing to make your relationship work IS NOT WORKING. All you can do is to do your best to save your relationship. However, doing your best is not only based on your depth and consistency of commitment to do your best. It’s also based on getting the best counseling you can find and through that counseling to learn the skills and strategies to save your relationship and make it work. You’re getting my best skills and strategies to save your relationship based on my years of training and more importantly my 30 years of finding out exactly what works and what doesn’t work to help a person save their relationship. PPS: I work with couples both in person and by phone.